This Form 10-Q includes "forward-looking statements" within the meaning of Section 27A of the Securities Act of 1933 and Section 21E of the Securities Exchange Act of 1934, as amended, with respect to our financial condition, results of operations and business and our expectations or beliefs concerning future events. The forward-looking statements include, in particular, statements about our plans, strategies and prospects under the heading "Management's Discussion and Analysis of Financial Condition and Results of Operations." These statements contain words such as "believes," "expects," "may," "will," "should," "would," "could," "seeks," "approximately," "intends," "plans," "estimates," "outlook," "anticipates" or "looking forward" or similar expressions that relate to our strategy, plans, intentions, or expectations. All statements we make relating to our estimated and projected earnings, margins, costs, expenditures, cash flows, growth rates and financial results or to our expectations regarding future industry trends are forward-looking statements. In addition, we, through our senior management, from time to time make forward-looking public statements concerning our expected future operations and performance and other developments. These forward-looking statements are subject to risks and uncertainties that may change at any time, and, therefore, our actual results may differ materially from those that we expected. We derive many of our forward-looking statements from our operating budgets and forecasts, which are based upon many detailed assumptions. While we believe that our assumptions are reasonable, we caution that it is very difficult to predict the impact of known factors, and it is impossible for us to anticipate all factors that could affect our actual results. All forward-looking statements are based upon information available to us on the date of this Form 10-Q. The accompanying unaudited Condensed Consolidated Financial Statements of Berry Global Group, Inc. ("the Company," "we," or "Berry") have been prepared in accordance with accounting principles generally accepted in the United States ("GAAP") pursuant to the rules and regulations of the Securities and Exchange Commission for interim reporting. Accordingly, they do not include all of the information and footnotes required by GAAP for complete financial statements. In preparing financial statements in conformity with GAAP, we must make estimates and assumptions that affect the reported amounts of assets, liabilities, revenues, expenses, and related disclosures at the date of the financial statements and during the reporting period. Actual results could differ from those estimates. In the opinion of management, all adjustments (consisting of normal recurring adjustments) considered necessary for a fair presentation have been included, and all subsequent events up to the time of the filing have been evaluated. For further information, refer to the consolidated financial statements and footnotes thereto included in the Company's most recent Form 10-K filed with the Securities and Exchange Commission. Effective April 13, 2017, the Company changed its name from Berry Plastics Group, Inc. to Berry Global Group, Inc. The new name is reflected throughout this Form 10-Q. Common Shares of the Company stock continue to be traded on the New York Stock Exchange under the symbol BERY. 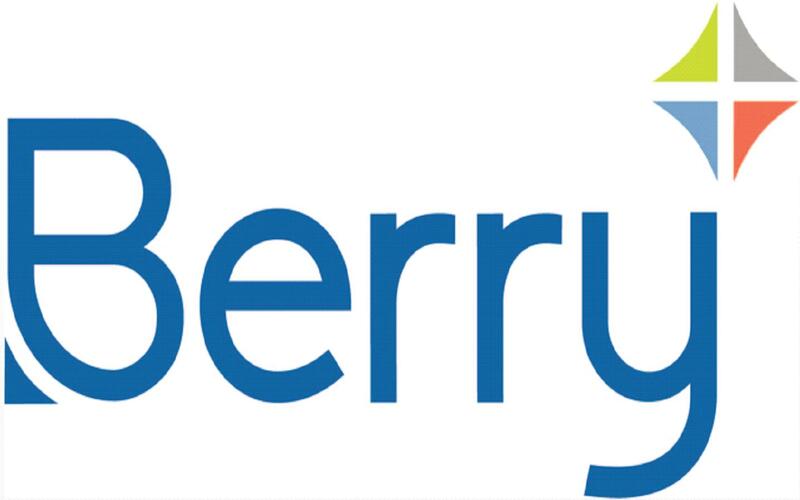 In addition, Berry Plastics Corporation, a wholly owned subsidiary, has changed its name to Berry Global, Inc.
Changes to GAAP are established by the Financial Accounting Standards Board ("FASB") in the form of accounting standards updates to the FASB's Accounting Standards Codification. During fiscal 2017, with the exception of the below, there have been no developments to the recently adopted accounting pronouncements from those disclosed in the Company's 2016 Annual Report on Form 10-K that are considered to have a material impact on our unaudited consolidated financial statements. In January 2017, the FASB issued ASU 2017-04, Intangibles - Goodwill and Other (Topic 350), Simplifying the Test for Goodwill Impairment. To simplify the subsequent measurement of goodwill, Step 2, which was previously used to compute the implied fair value of goodwill, was eliminated. This update requires an entity to perform its annual goodwill impairment test by comparing the fair value of a reporting unit with its carrying amount. An impairment will be recognized in the amount by which a reporting unit's carrying amount exceeds its fair value. The loss recognized will not exceed the total amount of goodwill allocated to that reporting unit. The new guidance is effective for interim and annual periods beginning after December 15, 2019 and should be applied on a prospective basis. Early adoption is permitted. The Company does not expect a significant impact as a result of this change. We will adopt this guidance for our fiscal 2017 goodwill testing. In March 2017, the FASB issued ASU 2017-07, Compensation – Retirement Benefits (Topic 715), Improving the Presentation of Net Periodic Pension Cost and Net Periodic Postretirement Benefit Cost, which requires employers to report the service cost component in the same line item as other compensation costs arising from services rendered by the pertinent employees during the period. The other components of net benefit cost are required to be presented in the income statement separately from the service cost component and outside a subtotal of income from operations. If a separate line item is used to present the other components of net benefit cost, then the line item used in the income statement to present the other components of net benefit cost must be disclosed. The new guidance is effective for interim and annual periods beginning after December 15, 2017 and should be applied on a retrospective basis. Early adoption is permitted. The Company is currently evaluating the impact of this guidance. In January 2017, the Company acquired AEP Industries Inc. ("AEP") for a purchase price of $786 million, net of cash acquired. A portion of the purchase price consisted of issuing 6.5 million of Berry common shares which were valued at $328 million at the time of closing. AEP manufactures and markets an extensive and diverse line of polyethylene and polyvinyl chloride flexible plastic packaging products with consumer, industrial, and agricultural applications. The acquired business is operated in our Engineered Materials segment. To finance the purchase, the Company entered into an incremental assumption agreement to increase the commitments under the Company's existing term loan credit agreement by $500 million due 2024. Unaudited pro forma net sales were $1.9 billion and $3.6 billion for the quarterly period and two quarterly periods ended April 1, 2017, respectively, and $1.9 billion and $3.8 billion for the quarterly period and two quarterly periods ended April 2, 2016, respectively. Unaudited pro forma net income was $74 million and $125 million for the quarterly period and two quarterly periods ended April 1, 2017, respectively, and $70 million and $73 million for the quarterly period and two quarterly periods ended April 2, 2016, respectively. The unaudited pro forma net sales and net income assume that the AEP acquisition had occurred as of the beginning of the period. In October 2015, the Company acquired 100% of the capital stock of AVINTIV Inc. ("Avintiv") for a purchase price of $2.26 billion, net of cash acquired. Avintiv was one of the world's leading developers, producers, and marketers of nonwoven specialty materials used in hygiene, infection prevention, personal care, industrial, construction, and filtration applications. To finance the purchase, the Company issued $400 million aggregate principal amount of 6.0% second priority senior secured notes due 2022 and entered into an incremental assumption agreement to increase the commitments under the Company's existing term loan credit agreement by $2.1 billion due 2022. The results of Avintiv have been included in the consolidated results of the Company since the date of acquisition. In addition to the programs described above, the Company has a U.S. based program where certain U.S. based receivables are sold to unrelated third-party financial institutions. There were no amounts outstanding from the financial institutions related to U.S. based programs at April 1, 2017. The fees associated with transfer of receivables for all programs were not material for any of the periods presented. The Company made $60 million of payments related to the income tax receivable agreement ("TRA") in the December 31, 2016 quarter, of which Apollo Global Management, LLC received $48 million. The TRA provides for an annual payment to TRA holders at 85% of the amount of cash savings, if any, in U.S. federal, foreign, state and local income tax that are actually realized as a result of the utilization of our net operating losses attributable to periods prior to the initial public offering. The Company was in compliance with all covenants as of April 1, 2017. Debt discounts and deferred financing fees are presented net of Lonterm debt, less the current portion on the Consolidated Balance Sheets and are amortized to Interest expense through maturity. In January 2017, the Company entered into an incremental assumption agreement to increase the commitments under the existing term loan credit agreement by $500 million in order to finance the AEP acquisition. The incremental assumption agreement provided for the $500 million incremental term loan to bear interest at LIBOR plus 2.50% per annum with no LIBOR floor, to mature in January 2024 and to be subject to customary amortization. During the quarter the Company executed an amendment to lower the interest rates under certain of the term loans. The term loans maturing in October 2022 now bear interest at LIBOR plus 2.50% with no LIBOR floor. The term loans maturing in February 2020 and January 2021 now bear interest at LIBOR plus 2.25% with no LIBOR floor. During fiscal 2017, the Company has made $317 million of repayments on long-term borrowings using existing liquidity and the revolving line of credit. As a result of the current year prepayments and modifications, the Company recorded a $2 million loss on debt extinguishment in Other (income) expense, net, reflecting the write-off of deferred financing fees and debt discounts, net of amortization associated with the portion of the debt that was considered extinguished. Additionally, the Company recognized $9 million of debt discounts and deferred financing fees related to the incremental assumption agreements and amendments. In the normal course of business, the Company is exposed to certain risks arising from business operations and economic factors. The Company may use derivative financial instruments to help manage market risk and reduce the exposure to fluctuations in interest rates and foreign currencies. These financial instruments are not used for trading or other speculative purposes. The Company designates derivative instruments that qualify as hedging instruments, based upon the exposure being hedged, as a fair value hedge, cash flow hedge, or a hedge of a net investment in a foreign operation. To the extent hedging relationships are found to be effective, which is evaluated quarterly, changes in the fair value of the derivatives are offset by changes in the fair value of the related hedged item and recorded to Accumulated other comprehensive loss. The Company records the changes in the fair value of derivatives that are not designated as hedging instruments to the Consolidated Statements of Income. The primary purpose of the Company's foreign currency hedging activities is to manage the potential changes in value associated with the changes in foreign currencies on future foreign cash movements for certain jurisdictions. The changes in fair value of these derivative contracts are recognized in Other (income) expense, net on the Consolidated Statements of Income and are largely offset by the remeasurement of the underlying intercompany loan. When valuing foreign currency forward contracts the Company utilizes Level 2 (significant observable inputs) fair value measurements. These contracts are typically entered into and settled within the given quarterly reporting period. The primary purpose of our interest rate swaps is to manage cash flow variability associated with our outstanding variable rate term loan debt. At inception these contracts are designed as effective cash flow hedges. When valuing interest rate swaps we utilize derivative Level 2 (significant observable inputs) fair value measurements. For interest rate swaps that are designated and qualify as cash flow hedges, the effective portion of the gain or loss is reported as a component of Accumulated other comprehensive loss. Cash flow hedge accounting is discontinued when it is determined that an interest rate swap no longer qualifies as an effective hedge. When cash flow hedge accounting is de-designated, the swap is subject to the mark-to-market method of accounting prospectively. Changes in the mark-to-market fair value of the de-designated instrument are recorded to the Consolidated Statements of Income. Unrealized gains and losses that were previously deferred in Accumulated other comprehensive loss are amortized to Interest expense over the remaining term of the swap. In February 2013, the Company entered into a $1 billion interest rate swap transaction with an effective date of May 2016 and expiration in May 2019. In June 2013, the Company elected to settle this derivative instrument and received $16 million as a result of this settlement. The offset is included in Accumulated other comprehensive loss and is being amortized to Interest expense from May 2016 through May 2019, the original term of the swap agreement. In March 2014, the Company entered into a $1 billion interest rate swap transaction with an effective date of February 2016 and expiration in February 2019. In February 2017, in conjunction with the term loan modifications, the Company discontinued hedge accounting. Previously unrealized losses in Accumulated other comprehensive loss are being amortized to Interest expense through February 2019, the original term of the swap. In order to offset the impact of future fair value changes of the March 2014 de-designated swap, the Company entered into a mirrored offsetting swap in February 2017 and has not designated it as a hedge. In September 2015, the Company entered into a $1 billion interest rate swap transaction with an effective date of December 2015 and expiration in June 2019. In February 2017, in conjunction with the term loan modifications, the Company entered into an agreement to modify the terms of the original swap on a prospective basis. At that time, the Company de-designated the hedge and has re-designated the modified swap as an effective cash flow hedge. The amount included in Accumulated other comprehensive loss at the date of de-designation is being amortized to Interest expense through June 2019, the original term of the swap. The modified agreement swaps a one-month variable LIBOR contract for a fixed annual rate of 1.5190% with an effective date in March 2017 and expiration in June 2019. In January 2017, the Company entered into a $450 million interest rate swap transaction that swaps a one-month variable LIBOR contract for a fixed annual rate of 2.00%, with an effective date in May 2017 and expiration in May 2022. In February 2017, the Company entered into a $1 billion interest rate swap transaction that swaps a one-month variable LIBOR contract for a fixed annual rate of 2.3785% with an effective date in February 2017 and expiration in February 2019. The amortization related to unrealized losses in Accumulated other comprehensive loss is expected to be approximately $7 million in the next 12 months. The Company has certain assets that are measured at fair value on a non-recurring basis when impairment indicators are present. The assets are adjusted to fair value only when the carrying values exceed the fair values. The categorization of the framework used to price the assets is considered Level 3, due to the subjective nature of the unobservable inputs used to determine the fair value. These assets include primarily our definite lived and indefinite lived intangible assets, including Goodwill and our property, plant, and equipment. The Company reviews Goodwill and other indefinite lived assets for impairment as of the first day of the fourth fiscal quarter each year, and more frequently if impairment indicators exist. The Company determined Goodwill and other indefinite lived assets were not impaired in our annual fiscal 2016 assessment. No impairment indicators were identified in the current quarter. The Company's financial instruments consist primarily of cash and cash equivalents and long-term debt. The fair value of our marketable long-term indebtedness exceeded book value by $68 million as of April 1, 2017. The Company's long-term debt fair values were determined using Level 2 inputs as other significant observable inputs were not available. The Company's effective tax rate was 18% and 40% for the quarterly period ended April 1, 2017 and April 2, 2016, respectively. Within the quarter, the effective tax rate was favorably impacted primarily by the discrete items related to share based compensation excess tax benefit of 12% and state valuation allowance release of 10%, partially offset by other discrete items. The Company is party to various legal proceedings in addition to the above involving routine claims which are incidental to its business. Although the Company's legal and financial liability with respect to such proceedings cannot be estimated with certainty, management believes that any ultimate liability would not be material to its financial statements. Basic net income per share is calculated by dividing the net income attributable to common stockholders by the weighted-average number of common shares outstanding during the period, without consideration for common stock equivalents. Diluted net income per share is computed by dividing the net income attributable to common stockholders by the weighted-average number of common share equivalents outstanding for the period determined using the treasury-stock method and the if-converted method. For purposes of this calculation, stock options are considered to be common stock equivalents and are only included in the calculation of diluted net income per share when their effect is dilutive. Shares excluded from the calculation as the effect of their conversion into shares of our common stock would be antidilutive were 1.1 million for the six months ended April 1, 2017. The following tables and discussion provide a reconciliation of the numerator and denominator of the basic and diluted net income per share computations. Berry Global, Inc. ("Issuer") has notes outstanding which are fully, jointly, severally, and unconditionally guaranteed by its parent, Berry Global Group, Inc. (for purposes of this Note, "Parent") and substantially all of Issuer's domestic subsidiaries. Separate narrative information or financial statements of the guarantor subsidiaries have not been included because they are 100% owned by Parent and the guarantor subsidiaries unconditionally guarantee such debt on a joint and several basis. A guarantee of a guarantor subsidiary of the securities will terminate upon the following customary circumstances: the sale of the capital stock of such guarantor if such sale complies with the indentures, the designation of such guarantor as an unrestricted subsidiary, the defeasance or discharge of the indenture, as a result of the holders of certain other indebtedness foreclosing on a pledge of the shares of a guarantor subsidiary or if such guarantor no longer guarantees certain other indebtedness of the issuer. The guarantees of the guarantor subsidiaries are also limited as necessary to prevent them from constituting a fraudulent conveyance under applicable law and any guarantees guaranteeing subordinated debt are subordinated to certain other of the Company's debts. Parent also guarantees the Issuer's term loans and revolving credit facilities. The guarantor subsidiaries guarantee our term loans and are co-borrowers under our revolving credit facility. Presented below is condensed consolidating financial information for the Parent, Issuer, guarantor subsidiaries and non-guarantor subsidiaries. The Issuer and guarantor financial information includes all of our domestic operating subsidiaries; our non-guarantor subsidiaries include our foreign subsidiaries, certain immaterial domestic subsidiaries and the unrestricted subsidiaries under the Issuer's indentures. The Parent uses the equity method to account for its ownership in the Issuer in the Condensed Consolidating Supplemental Financial Statements. The Issuer uses the equity method to account for its ownership in the guarantor and non-guarantor subsidiaries. All consolidating entries are included in the eliminations column along with the elimination of intercompany balances.